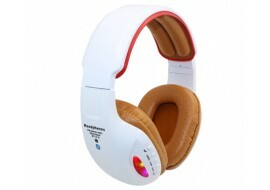 Brand new Wireless Bluetooth 4.2 Super Bass Stereo Headphones Headset Integrated Mic/FM/MP3/LED with soft cusion muffin headphone covers to enhance your music listening pleasure. 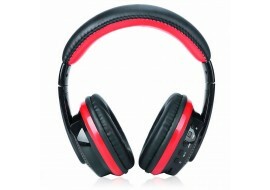 Brand new Kotion Each G9000 high Precision Gaming Headphones for PCs and Apple Mac computers. 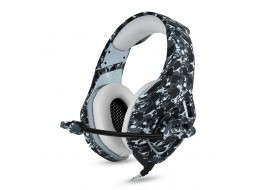 New Onikuma K1 Stereo Gaming Headset Headphone with Mic. 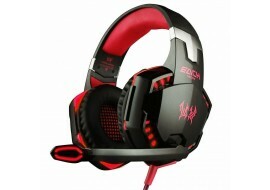 This is a high Precision Gaming Headphones for PCs and Apple Mac computers with 3.5mm headphone jack. 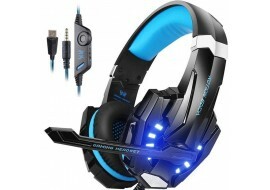 New Onikuma K9 Qingta Gaming Headset, Comfortable LED Lighting Headsets Over-Ear Headphone with Mic for PS4 Nintendo Xbox One PC Laptop Mac Tablet with Noise Cancelling & Volume Control. 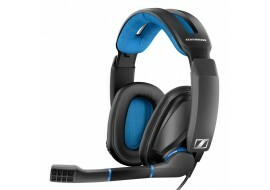 New Sennheiser GSP 300 Closed Acoustic Gaming Headset - Black/Blue with ultra comfortable memory foam ear pads to ensure best-in-class acoustic seal while their broadcast quality noise-cancelling microphone minimizes background noise so you can stay immersed in the game. 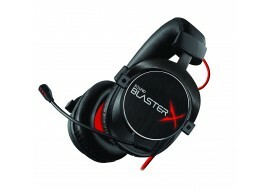 The Sound BlasterX H7 has audio settings that give you control of the realism of your entertainment with choice between the analog mode and digital USB mode for immersive experience. 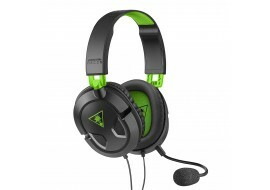 Turtle Beach Recon 50X Stereo Gaming Headset - Xbox One, Xbox One S, PS4 Pro and PS4. 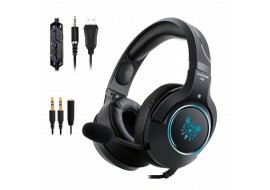 The the Recon 50X features a lightweight & comfortable design perfect for long gaming sessions, with high-quality 40mm speakers, a removable high-sensitivity mic, and inline controls.